Are you still hopping on a ladder to clean out your dirty gutters every few months? Here at Wrightway Home Improvement, we are proud to offer the best gutter protection systems on the market: Gutter Helmet®. Whether you are looking for a permanent solution to coping with the debris that accumulates in your gutters season after season, or you are constructing a new home and want to ensure you never have to waste time and energy cleaning them out, our gutter covers have you covered. Our technicians will ensure that your installation goes quickly and smoothly, and we will never leave a mess behind for you to clean up. Wrightway has been proud to serve the Milwaukee, Oshkosh, and Fond du Lac areas since 1977. Our Vision Statement is to be the leading, most trusted contractor in central to eastern Wisconsin by building lasting relationships with our customers through our exceptional products and services. By doing everything in our power to live up to our vision statement, we have been able to grow and flourish into the company we are today, and we are grateful for the continued opportunities to partner with homeowners across the great state of Wisconsin and beyond. We understand that your home is the very heart of your family, and we strive to treat each and every house as if it were our own. Our customer service is second to none, and our punctual and courteous technicians will ensure that your installation is done right the first time. 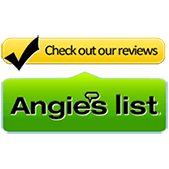 Our mission is to provide home improvement customers with superior products and excellent service in order to exceed expectations. Wrightway Home Improvements possesses all of the qualities of a contractor that you can trust and will provide customers with a clear written presentation of a solution. Do you have questions for us? Would you like to learn more? 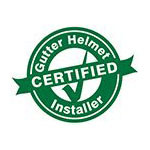 Our friendly and knowledgeable customer service team would be pleased to discuss our Gutter Helmet® systems or any of our other home improvement products with you! We can be reached at (866) 661-7420, or if you would prefer to correspond online, please fill out our convenient online request form.